I have been working in Commercial Real Estate since 1998 and have completed over 270 sale and lease transactions valued more than $250 million dollars in my career. This does not include the billions of dollars of commercial investment properties analyzed on an annual basis. My career in commercial real estate began as an intern with the MEGA Corp. which became a partner office to CB Richard Ellis in Omaha, Nebraska. I became a licensed real estate professional in the state of Nebraska in 1998. During my final year of college, I began working with the Office Leasing Division and the Investment Sales Division of CB Richard Ellis/MEGA. During my tenure, I completed many office leases and helped negotiate investment sales. In October 2001, I moved to Phoenix and began working for Marcus & Millichap as a Sales Assistant/Agent. Here, I was exposed to several facets of the commercial investment sales arena. Early 2002, my career moved me to become a Sales Associate at a small commercial brokerage company in Tempe where I continued assisting clients in investment sales and office leasing. May of 2003, I attained the Certified Commercial Investment Member (CCIM) Designation in Washington, D.C.
June 2005, the opportunity to partner with two other CCIMs to build a brokerage company within Eagle Commercial Realty Services, AMO presented itself to me. At that time, ECRS managed over 3 million sq. ft. of retail and office in the Valley. In September 2006, I obtained my Arizona Real Estate Broker License. In March 2010, my passion for teaching was realized. I started teaching commercial real estate CE classes at Arizona School of Real Estate & Business to help other commercial real estate practitioners navigate the commercial real estate market. In September 2010, I had the opportunity to join forces with the local Corfac International affiliate office, Commercial Properties, Inc. as a Vice President - Investments. In October 2010, I was elected to the CCIM Tech Board of Directors and re-elected back on the CCIM Institute Board of Directors. I served as the CCIM Tech Board President (2013-2014). In September 2012, I made the move to ORION Investment Real Estate as a Vice President - Investments. In 2015, I was promoted to Senior Vice President - Investments. A Certified Commercial Investment Member (CCIM) is a recognized expert in the disciplines of commercial and investment real estate. A CCIM is an invaluable resource to the commercial real estate owner, investor, and user, and is among an elite corps of 9,500 professionals across North America who hold the CCIM designation. The Jay W. Levine Leadership Development Academy is a dynamic initiative that will foster the development of the next generation of leaders in the commercial investment real estate industry. The program will create a network of leaders whose increased awareness and commitment to service will help shape the future of the CCIM Institute. Mission Statement: "The Central Arizona CCIM Chapter promotes the highest ethical standards in commercial real estate, provides quality educational programs to members and related professionals, serves as a forum where intelligence and success can be shared and celebrated, and finally, enhances the awareness and recognition of the CCIM designation to the business community. " Lambda Alpha International's members represent a diverse group of professional disciplines in fields related to the ownership and use of land and buildings. The Society's original goal of "fostering a closer association with academia and professionals involved with land economics and related fields, while still valid today, has expanded. The Society is now a catalyst for the advancement of land economics by facilitating the interaction of members who have distinguished themselves in their professions, their communities and through academic achievements. The Boys & Girls Clubs of the East Valley serves more than 14,700 members, and continues to grow to meet the needs of today's youth, providing a positive place for all kids and teens. Club members participate in after-school and summer programs in the areas of education, recreation, peer leadership, prevention programs, performing arts, and physical fitness. They learn computer skills, receive homework help, and interact with trained staff and volunteers who serve as positive role models and mentors. When you hear the laughter and see the smiles, you will know your neighborhood Boys & Girls Club is making a difference by providing a safe and fun place for kids to go. MISSION: Tempe Leadership identifies emerging leaders and fosters leadership skills through education, experience, exposure and service to our community in order to sustain qualified citizens, employees and leaders for the future of the Tempe community. THE PROGRAM: Tempe Leadership is a nine-month program that teaches participants about the strengths, needs and challenges facing Tempe. Newtown Community Development Corporation (Newtown) develops permanently affordable homes though its Community Land Trust Program and helps prepare first time homebuyers for homeownership. Served as Board Chair in 2008, 2009, and 2015. Chaired Enhancement Committee; Former Secretary; Executive Committee Member. During my 6 years as a board member I was heavily involved in the Agency Review Process. This was a great opportunity for me to learn about all of the wonderful non-profits that are providing services in Tempe; assist in balancing the needs with the amount of resources available; and to fully understand how those recommendations will ultimately help the client in need. Tempe Community Council (TCC) is a nonprofit human service planning agency for Tempe, Arizona and the surrounding communities. 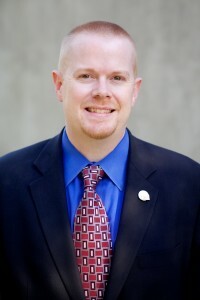 TCC serves as the Human Service administrator and planner for the City of Tempe. The Development Review Commission was created to hold public meetings and hearings, to provide analysis and recommendations to the City Council regarding general land use policies and applications where the commission has recommendatory power, and to render final decisions on specified applications where the Commission has final decision-making power, including, but not limited to, all aspects of a proposed and future development. The Commission has the duty to carry out the provisions and intent of the General Plan and the Zoning and Development Code. The Club was chartered on Feb. 20, 1952, through the work of the Phoenix Valley of the Sun Kiwanis Club, the 55th oldest Kiwanis Club, founded in 1918. For months, its sent members into Tempe to target men who had the interest, time and and will to be active in a civic service club. It was on a Wednesday night that 26 recruitments to the Kiwanis movement gathered at the now-gone Desert Landings Grill as its charter members. Harry Burger was elected as the first president.